Zapier gives people internet superpowers by allowing them to connect and automate the apps they use. Using Zapier to connect your Cosmic-powered content with third-party apps is easy and requires zero coding. I’m going to demonstrate how to get started integrating your Cosmic-powered content with your favorite third-party applications using Zapier. Let's get started. 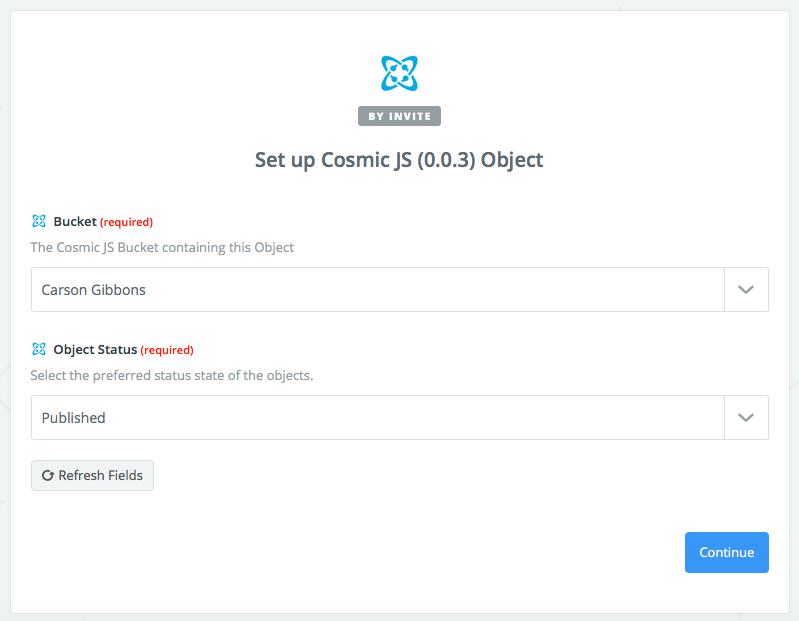 Once your Cosmic JS Bucket is connected you can simply select the Action App, workflow and account information. 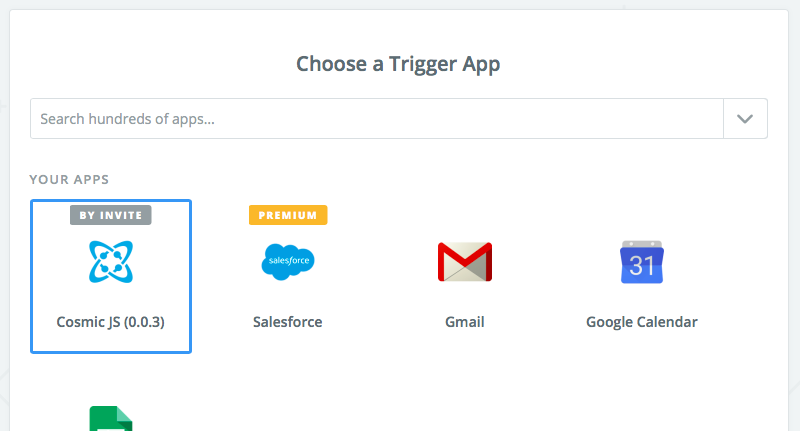 You can pull through Sample Data from Cosmic JS or any other Trigger app to test communicating with your favorite API services. Notes: Using the Zapier integration, you can set up workflows that originate in a third-party app and write to Cosmic JS, rather than the workflow originally starting in Cosmic (see an example). While Cosmic JS triggers support Zapier’s instant feature, several other integrations still use polling methods, which means Zapier will delay the firing of these events depending on your plan. For free Zapier accounts, this delay is typically 15 minutes. For free accounts, Zapier limits the amount of Items in a Zap to only 2, with a maximum of 5 Zaps registered to an account. To implement a filter within your Zap you will need to upgrade from a free account to a paid one. To learn more about Zapier Filters and extending your Zaps, click here. 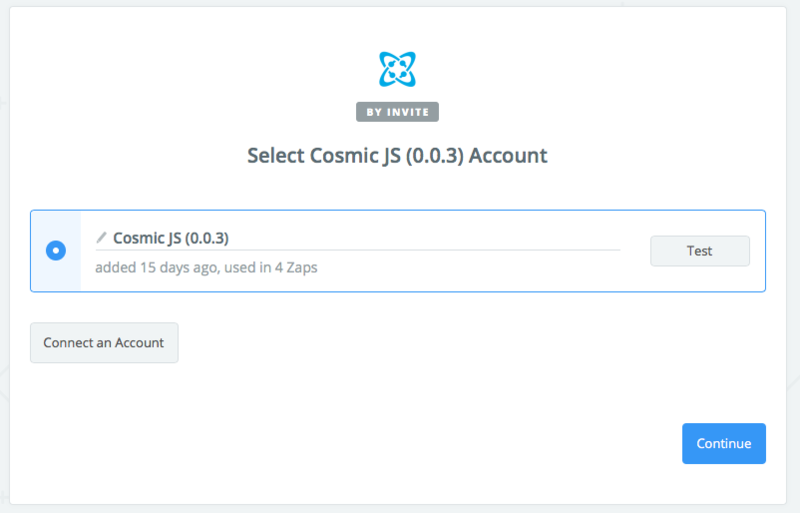 The moment you connect your Cosmic JS account to Zapier, you can more easily integrate your content into the web application of your choice. 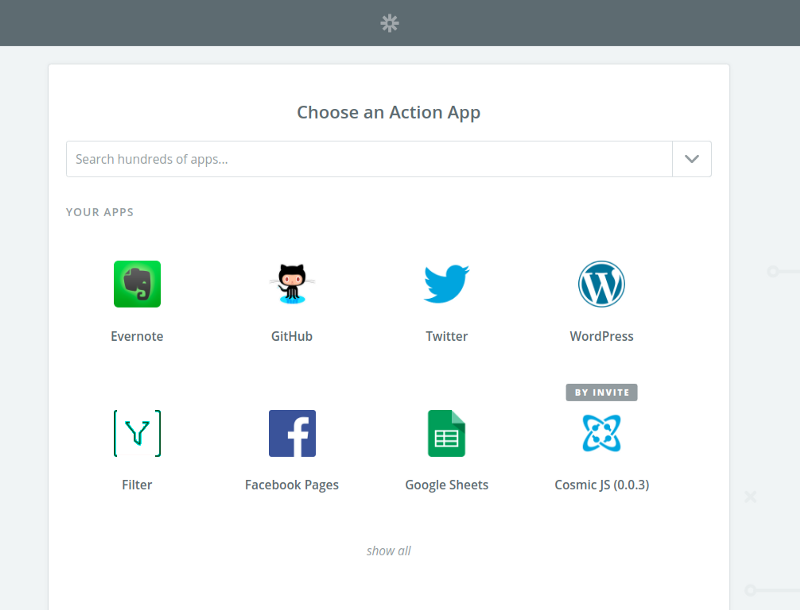 Automate workflows with Google Sheets, Google Calendar, Hubspot, Typeform, Salesforce and your other favorite apps in a few simple clicks. To view more Integrations, click here. If you have any comments or questions about Cosmic JS Integrations, reach out to us on Twitter and join the conversation on Slack. Grab and save content from any website to your Cosmic JS Bucket.